Well, we’re not in Kansas anymore. That’s for sure. My little third grader has been slowly morphing into a tween … as I knew she would. I was warned fairly early on by moms of older girls that this would happen this year AND before Christmas. 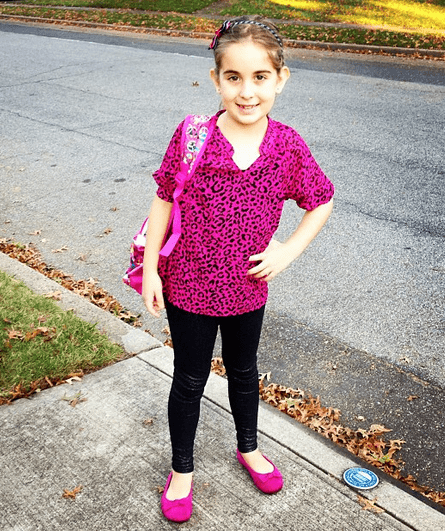 My little baby princess is going to be texting and driving and graduating college before I know it – and it all starts with a hot pink leopard shirt. Now – I SHOULD ADMIT that I bought her that darn shirt and I am the one that placed it in her closet. Can I blame her for actually putting it on and pairing it on with sparkle black leggings (which I also purchased)? No. The girl has her own style and she is becoming … herself with each passing day of this year. No more Hello Kitty and Care Bear t shirts. No more wagging dog tails and Smurf lockets. Just leopard and hot pink. The girl is 8! What is happening?! They say you understand your mother the more you age. I feel a silent and small pain inside of me on a regular basis because my first born is blooming right before my eyes. I know my mother went through this same exact thing – times 1000 since I am now out of the house and with children of my own. Every now and then I think of my mom and wonder what she must have felt as I morphed myself. It gives me pause. And it makes me remember that at one point my mother was young and caring for me and watching me slip through her fingertips just as I am watching Natalie take these teeny tiny steps away from childhood. 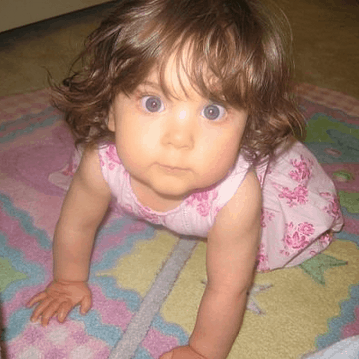 Not too fast little one…. not too fast. thank you Sherry! love her to pieces!